Baa Atoll in the Maldives, an astronomer’s paradise, and is one of the best places on earth to enjoy stargazing due to its proximity to the equator. Time spent well at Anantara Kihavah Maldives Villas is going to be one of greatest adventures and discovery. Sky invites you to play out a once in a lifetime journey, on a private island in the Indian Ocean, where the forces of nature dazzle the imagination. Sky, an overwater observatory combined with a unique luxury cocktail bar, a resident story-telling Sky Guru and housing the most powerful telescope in the region, gives guests an opportunity to gaze on the stars as they sip champagne and revel in this window to the Universe. Light pollution isn’t a problem. Moreover, due to its proximity to the equator, the Maldives provides spectacular views of both the southern and northern sky. The panorama lounge perched over the lagoon maximises ocean views from every vantage point. 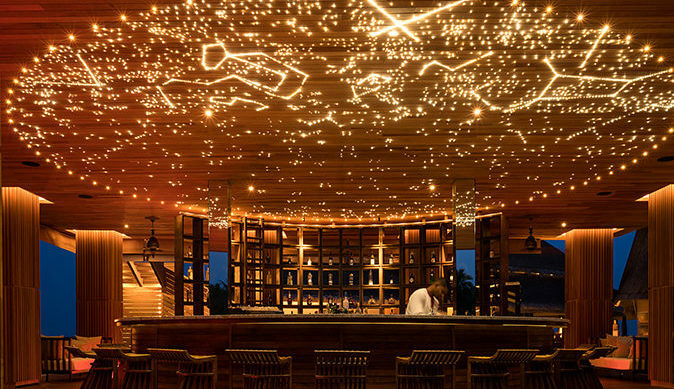 Contemporary yet warm, with raw timber and soft lighting throughout, this is the place to take in Indian Ocean sunsets. A circular bar serves as the centrepiece, with bar tenders busy at work. Sip on island cocktails such as Kihavah Island Tea, a blend of white rum and arak with lychee, peach, lemon and a dash of Earl Grey tea. Laze on low oversized daybeds that wrap around the terrace, enjoy delicious tapas, fragrant shisha and mellow music. The custom-built Ash-dome observatory sits on the roof deck of the Sky Bar surrounded by nothing but open skies and the ocean waves below. The observatory houses a research-grade Meade 16” LX200 telescope mounted on a super-giant field tripod. Digitally controlled with 360˚ movement, the powerful telescope opens up the night sky. Sip champagne and savour Asian tapas whilst Sky Guru Ali Shameem points out Sirius, the brightest star in the night sky, Arcturus, Capella, Spica and Omega Centauri, the brightest and largest known globular cluster in the Milky Way galaxy. If you’re lucky you’ll see the pale-yellow rings of Saturn or the belts of Jupiter. Take a look through the powerful telescope at the craters on the moon, Orion nebula and Pleiades, commonly known as seven sisters. Shameem, a protégé of Italian Astronomer Dr. Massimo Tarenghi, former head of the Atacama Large Millimeter Array (ALMA) Observatory in the Atacama Desert in Chile, shares his passion for the constellations with star gazing private sessions. Looking for the ultimate gift of love? Guests also have an opportunity to name a star after their loved one. 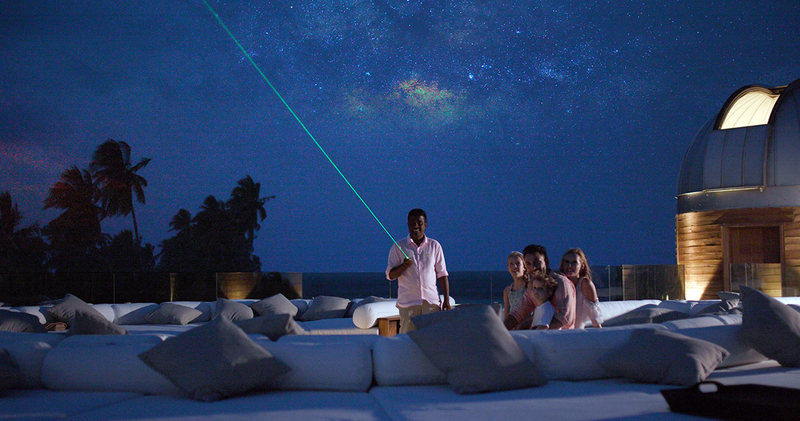 At the end of your experience on the island, and when you return home and look up at the sky, you’ll forever remember your stargazing experience at Anantara Kihavah. Westin Hotels and Resorts has opened one of the brand’s Resorts in the Maldives, The Westin Maldives Miriandhoo. The resort is jointly owned by Bulluna Co.Ltd of japan and Asia, capital PLC of Sri lanka.